The new lorry designs, mandatory as of 2022, include rounded front cabs and aerodynamic flaps at the back of the vehicles. Such changes will help lorry drivers reduce accidents by making it easier to spot and avoid bicycles and motorcycles on the roads. Parliament’s vote comes after lengthy negotiations with the Council of Ministers. The legislators disagreed on the start date for mandatory designs. 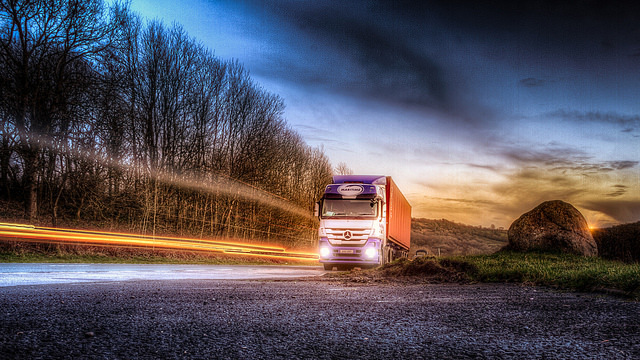 While MEPs backed the European Commission’s proposal to oblige automobile manufacturers to produce newly designed trucks starting in 2017, the Council rejected the proposal and called for a delay until 2025. It emerged that Member States, particularly France and Sweden, opposed an early start, fearing increased competition from foreign makers. Both countries are home to some of the largest truck manufacturers in the world. A deal was brokered by the Italian EU Presidency last December, setting 2022 as the start date, despite pressure from MEPs and environmental campaigners for the law to come into force earlier. Introducing cross-border trials of extra-large lorries was another controversy that delayed an agreement in the EU institutions. Trucks larger than 18.75 metres in length and 40 tonnes in weight can be used in trials only within national borders. A provision in the new rules was supposed to allow for these trucks to go cross-border, but it was blocked by the Parliament and Council. Both co-legislators considered trials of extra-large trucks unsafe. Instead, they asked the Commission to assess its impact before approving such a law. The new law still has to be formally approved by the Council before it officially enters into force. A meeting of the EU transport ministers will take place in June. Member States have time until 2019 to integrate the EU rules into national legislation. "We fought for the introduction of a deadline that would give the whole sector enough time to prepare for the implementation of these new rules. This will allow us to maintain fair competition between manufacturers and protect jobs in the industry, which are so important right across France." "The directive approved today is much stronger than the weak proposal put forward by the Commission. The attempt to further liberalise cross-border operations was rejected by both Parliament and Council, which means that the text of the current directive will remain. This is a good compromise, given the initial controversy on the issue. This directive not only limits the size and weight of trucks on EU roads but it also promotes combined road-rail or road-ship transport operations for standard 45-foot containers and encourages a review of existing provisions on combined transport." "Our group has achieved its main goals in this directive, even if the negotiations were hard both within the Parliament and then with member states represented in the Council. But we made sure that there will be no general EU-wide permission for the ' gigaliners' to circulate. We have set the framework for greener and safer truck cabins. These cabins will not only reduce CO2 emissions through improved aerodynamics, but they will allow for a wider field of vision through the installation of bigger windshields, thus improving safety for drivers." "We regret that the Council insisted on delaying the introduction of the improved cabins until at least 2020 for purely economic reasons. These new cabins will have a huge impact on our way towards the EU's ambitious 'vision zero-zero road fatalities' by 2050. But at least we managed to counterbalance those lobbies who wanted to delay the introduction even further!" "Too many lives have been lost on our roads due to unsafe lorry designs. These small changes will make an enormous difference by helping to get rid of the dangerous blind spots that cause so many accidents with pedestrians and cyclists. I will now be keeping up the pressure to ensure that these safer designs are proposed and implemented as soon as possible." "So-called mega-trucks have given rise to a certain amount of fear and panic. Personally, I was concerned that we would not be able to preserve certain exceptions which are allowed for Nordic countries, where traffic flows differ significantly from the more congested central and southern European countries; that is why it was important that certain regions in the EU are able to maintain their current solutions. We must bear in mind that the idea behind the proposal was to make heavy vehicles in Europe safer, more energy efficient and above all with lower CO2 emissions and we have achieved this. With the bigger trucks, we can also achieve considerable reductions in logistical costs." “The newly adopted rules represent a strong incentive for a safer transport environment for vulnerable road users and cars as well as for the wider economy. Improved safety, means lives will be saved while insurance premiums for hauliers would decrease. Moreover, at a time where the European Commission foresees strong EU actions in favour of the energy union market, these rules will substantially cut CO2 emissions and will translate into much-needed fuel savings, reducing our international energy dependence and improving the environment." The EU’s weights and dimensions directive was revised in 1996, but its provisions date back to the 1980s. It codifies rules that heavy goods vehicles must comply with for road safety reasons. The new proposals result from a European Commission review of the directive’s provisions as announced in the 2011 White Paper on Transport. The rules should be adapted to facilitate the introduction of more aerodynamic vehicles which limit CO2 emissions and energy use, and better reflect new intermodal transport standards. Pathetic & useless. More than 11 years ago in Tokyo, Toshiba demonstrated to me a video system that provided truck drivers with a helicopter view in real time of what was around a truck. The system consisted of 4 very small truck-mounted cameras and an in-cab display unit/processor. Some clever software assembled the images from the 4 cameras into a helicopter view. Not expensive & could be retro fitted. Such a system should be mandatory on all trucks – new & old. This is not the first time I have posted on this subject & I doubt it will be the last. Working on the basis that the Ec & EP can read – then I conclude that they do not give a stuff about safety for, for example, cyclists and are quite happy to keep tinkering on the edges.